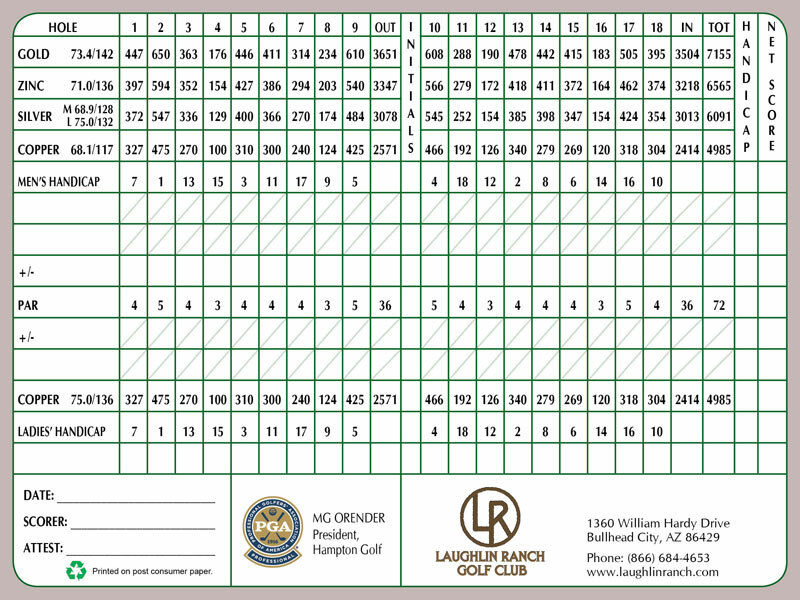 Laughlin Ranch Golf Club | Only 10 minutes from casino strip! Laughlin Ranch Golf Club was designed as the centerpiece of an upscale golf community set in the foothills just 10 minutes from the casino strip in Laughlin. Respected golf course architect David Druzisky created an incredible layout featuring dramatic elevation changes offering stunning views of the Mohave Valley and surrounding mountains. Upon its opening in 2005 the golf course earned high praise quickly, and won numerous industry awards including the coveted “America’s Best New Golf Course” in 2005 by Golf Digest. 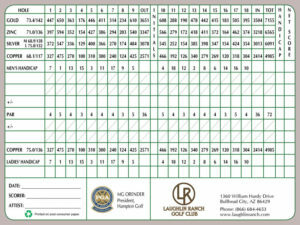 Why Should You Play at Laughlin Ranch Golf Club? The 35,000 square foot clubhouse at Laughlin Ranch is as impressive as the course, with a fully stocked pro-shop, restaurant, sports bar and grill. Laughlin Ranch Golf Club also offers the area’s only premier, full-service spa, swimming pool and sauna and state-of-the-art workout facilities. The clubhouse also opened to high fanfare, and was voted the number one clubhouse in the nation by Golf, Inc. in 2007. Stay & Play Golf Packages – Laughlin Ranch Golf Club is a must play for a stay and play golf package in Laughlin, Nevada. 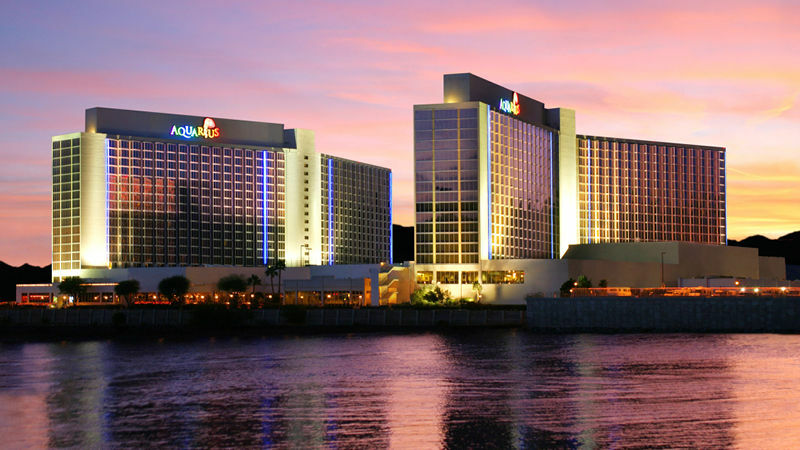 We offer numerous golf packages and combinations of courses and lodging either staying in Laughlin or Las Vegas. Staff Insider Tip – This golf course is jaw-droppingly beautiful and downright a blast to play. Plus the mining theme throughout the layout is so well done, it’s a cool experinece at Laughlin Ranch from top to bottom, and their food and spa are both excellent!